A 51-year-old Milton Keynes man has been sent to prison for fraudulently claiming a whopping £67,000 in benefits. 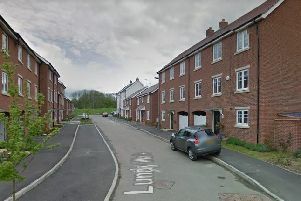 Steven Chamberlain, who lives on Tattenhoe, pocketed housing benefit and Jobseeker's allowance for more than six years after telling officials he was unemployed. In fact he was in receipt of an income, believed to be from self-employed earnings. Chamberlain pleaded guilty at Aylesbury Crown Court to one charge of dishonestly failing to notify Milton Keynes Council that he was not entitled to housing benefit, and one charge of dishonestly making a statement to the DWP to claim Jobseeker's Allowance. The court heard the claims started in 2011 and continued until January 2017. They were fraudulent from the outset. Chamberlain was sentenced to 17 months in prison for each charge, to run concurrently. He had previously been paying back the fraudulently claimed total of £67,333.67 at a rate of £50 a month, but the court ordered this to be upped. A DWP spokesman said after the case: "When people commit benefit theft, they don’t get away with it. They face imprisonment, fines and other penalties.